The level of expertise that Nubik brought to the project was spot on. Boasting multiple piano showrooms and music school locations in the Greater Toronto Area, Merriam Music has established itself as the North American leader in music education and retailing for nearly three decades. Not only do they manage the largest private music education facility in Canada, they are also host to one of the largest, annual, private music festivals in North America, with over 2000 students who participated this past February. Seasoned users of the Salesforce platform, Merriam was ready to extend the CRM tool to other key areas of their business operations. 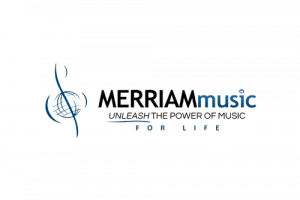 “We had been using Salesforce since 2012,” explains Mr. Luiz Breves, IT Director, Merriam Music. “As our needs evolved, we needed help getting our accounting system and supply chain integrated with the platform.” Their existing system was burdened with paper-based documentation, manual data entry from one system to another, and delays in information processing. “We would get a paper invoice, make a series of inquiries into whether the unit left the building, had payment been received, was the information logged in the system, and so forth.” Not to mention manual allocations, applying it to the correct GL, and financial reconciliation. Operations reports required to manage their business would take upwards of ten-days to produce. FinancialForce Financial Management and Supply Chain Management solutions were the obvious choices. Native to the Salesforce platform, the FinancialForce platform allows accounting and supply chain data to flow seamlessly with the CRM. This would result in Merriam being able to automate accounts payable, accounts receivable, cash management and financial reporting. As well, they would be able to efficiently manage inventory, orders and fulfillment, keeping their business running smoothly and ensuring the best customer satisfaction. Ultimately, their decision was based on hiring a team who would contribute experience and training to ensure the system was optimized to meet their needs, while meeting their timelines. Nubik demonstrated a solid understanding of the technical requirements, and how best to configure Salesforce and FinancialForce workflows. In addition, Nubik provided a framework for the project integration that was organized, thorough, and focused on getting the job done well, all within Merriam’s time scale. The true measure of success? It is visible in the results: For the first time, Merriam is able to action back-order logs by placing customer orders as soon as they came in, notify the sales representative and then schedule their customer for pick up, with a clear impact on customer satisfaction. At the same time, they were able to provide real-time inventory reports, including number of units, condition, and location with transparent visibility from warehouse to sales staff; enabling them to provide the best customer experience. Automated invoicing reduced cycle time from over a week to 1-2 days, giving Merriam faster insight into their billings and financials.